Today I Found Out about Violet Jessop, "Miss Unsinkable," the woman who survived the sinking of the sister ships the Titanic and the Britannic, and was also aboard the third of the trio of Olympic class vessels, the Olympic, when it had a major accident. Violet Jessop enjoyed incredible "luck" from a young age. Born in 1887 in Argentina to Irish immigrants, she contracted tuberculosis as a young child and was given just a few months to live. Somehow, she managed to fight the disease and went on to live a long, healthy life. When her father passed away, her mother moved the family to Britain, where she took a job as a stewardess on a ship. While her mother was working, Violet attended a convent school. Unfortunately, her mother became ill, and to provide for her siblings Violet decided to follow in her mother's footsteps and become a ship stewardess herself. Eventually, Violet solved the problem by making herself look frumpy with old clothes and no make-up, and experienced more successful interviews after this. After a brief stint aboard the Orinoco, a Royal Mail Line steamer, in 1908, she was hired by the White Star Line. Violet started out on the line's Magestic, switching to the Olympic in 1910. Despite the long hours and minimal pay (£2.10 every month or about £200 today), she enjoyed working aboard the massive ship. She had initially had some concerns about the rough weather conditions while traveling across the Atlantic, but she reportedly liked that the Americans treated her more like a person while she served them. It was just one year later when the trouble started. In 1911, the Olympic collided with theHMS Hawke (a ship designed to sink ships by ramming them). Both ships sustained considerable damage, including the Olympic having its hull breached below the water line, but miraculously didn't sink. They were able to make it back to port, and Violet disembarked without being harmed. A couple of years later, the White Star Line was looking for crew to cater to the VIPs aboard the unsinkable ship, the Titanic. It took a while for her friends and family to convince her that it would be a wonderful experience, but Violet eventually decided to take a job on board the ship. 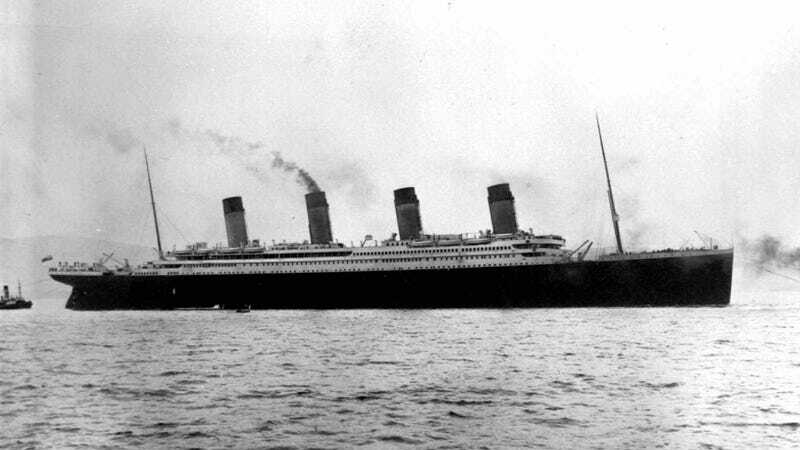 As you already know, the Titanic struck an iceberg and sunk, killing more than 1500 people. I was ordered up on deck. Calmly, passengers strolled about. I stood at the bulkhead with the other stewardesses, watching the women cling to their husbands before being put into the boats with their children. Sometime after, a ship's officer ordered us into the boat first to show some women it was safe. As she was jumping into the lifeboat, she was handed a baby to care for. When they were rescued by the Carpathia, the baby's mother (or at least Jessop thought it must be) found her and whisked the baby away (literally grabbing the baby out of Jessop's arms and running off). Once again, Violet lived to sail another day. Although, she did later state the first thing she missed after the Titanic sank was her toothbrush that she'd left on board. You'd think she'd stop getting on ships at this point, or at least ships of the Olympic class, but not Violet. In the lead-up to World War I, she decided to serve as a nurse on board the Titanic's other sister ship,Britannic, which was operating in the Aegean Sea. Given her track record, you can probably guess what happened next. The Britannic ran into a mine that had been planted by a German U-boat. The ship sustained substantial damage and quickly started sinking. I leapt into the water but was sucked under the ship's keel which struck my head. I escaped, but years later when I went to my doctor because of a lot of headaches, he discovered I had once sustained a fracture of the skull! She joked that she only survived because of her thick hair, which cushioned the blow. She also stated this time she remembered to grab her toothbrush before evacuating, unlike with the Titanic. Even this latest disaster was not enough to deter Violet. After the war, ships were becoming a more and more popular form of transport. Even cruise ships were starting to emerge. Violet left the White Star Line for the Red Star Line and worked on a ship doing world cruises for several years. Luckily for Violet and everyone traveling on the ships she was aboard later, no such vessel she worked on ever sustained significant damage again. She did take a clerical job for a while after World War II, but went back to working on Royal Mail ships for a few years before she retired at the age of 61. The rest of her life was spent gardening and raising chickens. She died in 1971 of congestive heart failure at the ripe old age of 84. Emily Upton writes for the wildly popular interesting fact website TodayIFoundOut.com. To subscribe to Today I Found Out's "Daily Knowledge" newsletter, click here or like them on Facebook here.